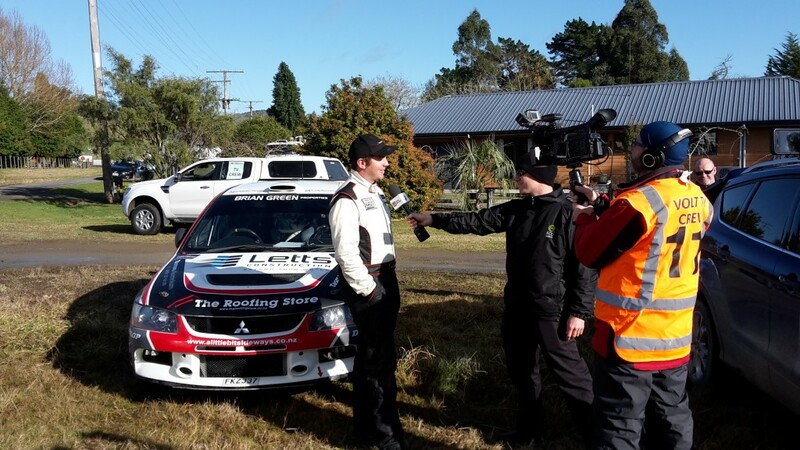 Tauranga’s Phil Campbell has come away from the fourth round of the Brian Green Property Group New Zealand Rally Championship, Fuchs Rally Gisborne, gutted but looking at the positives after a problem half way through the opening stage saw his rally over before it had begun. Campbell headed to the event sitting second in the NZRC standings after a magnificent run of podium finishes across the opening three rounds and full of confidence with an increase in speed across the season, particularly early in the day. A change of fortune though would see the centre diff fail though, leaving the car lacking traction and braking grip. Campbell was forced to back off and limp through the remainder of the stage, but still emerged in third place, only 25 seconds away from the stage winner. Worse was to come at the service park, when it was discovered the damage done to the centre differential would be enough to put he and co-driver Venita Fabbro out of the rally. Such is the start to the season that Campbell has had, he still retains second place in the NZRC standings and with the rule allowing competitors to drop one of the first five round, the thought of a first NZRC title is still on the cards. The Campbell Rally Sport team will now regroup before aiming to defend their win in last year’s Tauranga Clubman’s Rally before the penultimate round of the Brian Green Property Group New Zealand Rally Championship, Mahindra Goldrush Rally Coromandel, on August 22.